Viknesh Vijayenthiran January 29, 2019 Comment Now! 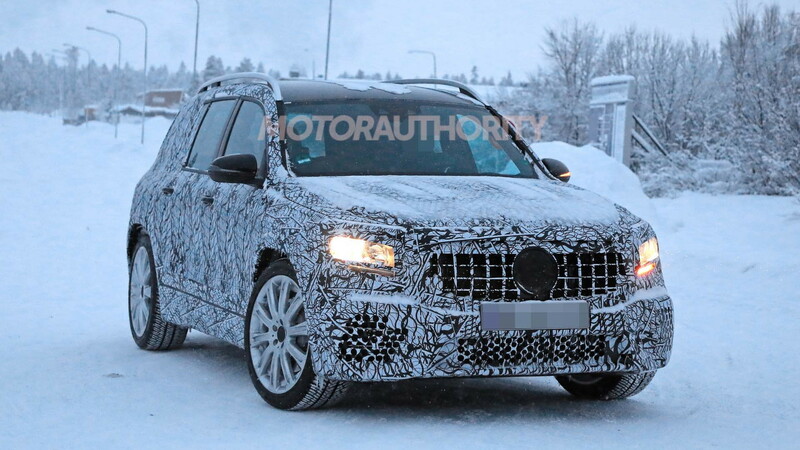 Mercedes-Benz already sells a GLA compact crossover SUV, but for the automaker's next generation of compacts we'll see both a redesigned GLA plus a new GLB. 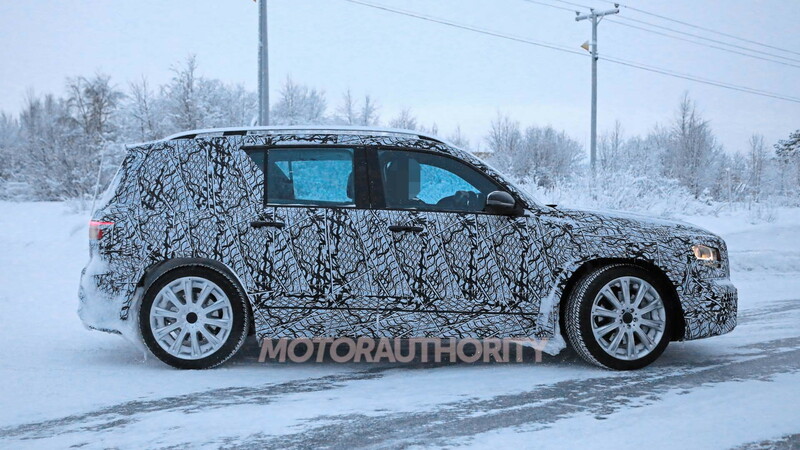 Prototypes for the GLB have been spotted for a while and reveal that the vehicle will exhibit the more familiar two-box SUV shape, as opposed to the GLA's more hatchback-like form. 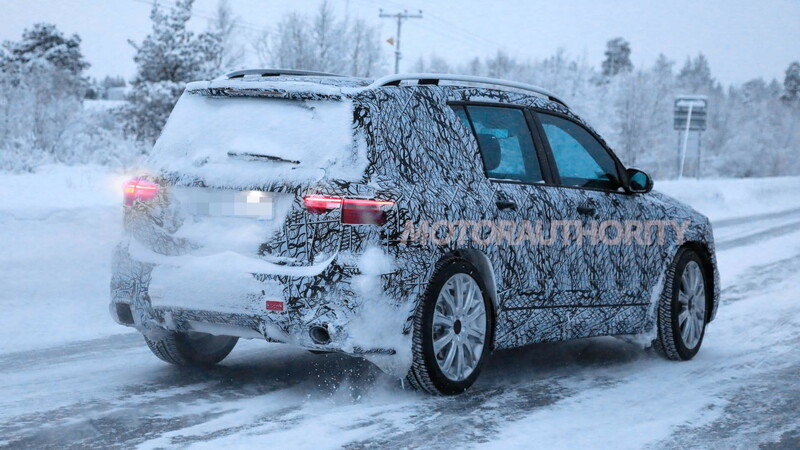 Our latest spy shots show what appears to be an AMG-tuned GLB, specifically a member of AMG's new 35 series, undergoing cold-weather testing on public roads. Going forward, AMG will offer two levels of performance. One will be a direct replacement for the 45 series, while slotting under this will be a new crop of 35 series cars, the first of which is the A35 hatchback unveiled at the 2018 Paris auto show. The U.S.-bound A-Class sedan has also made its debut, and the hotter A35 and A45 will follow shortly, The GLB is also U.S.-bound, so we should see this GLB35 variant from AMG in local showrooms. A GLB45 is a safe bet, too. We know this is the GLB35 because of its lowered ride height, enlarged openings in the lower fascia, and dual-tip exhaust system. The wheels and brakes are also bigger units than what's been used on prototypes for the regular GLB. Like the recently revealed A35 hatchback, the GLB35 will feature a 2.0-liter turbocharged inline-4 making 302 horsepower and 295 pound-feet of torque. 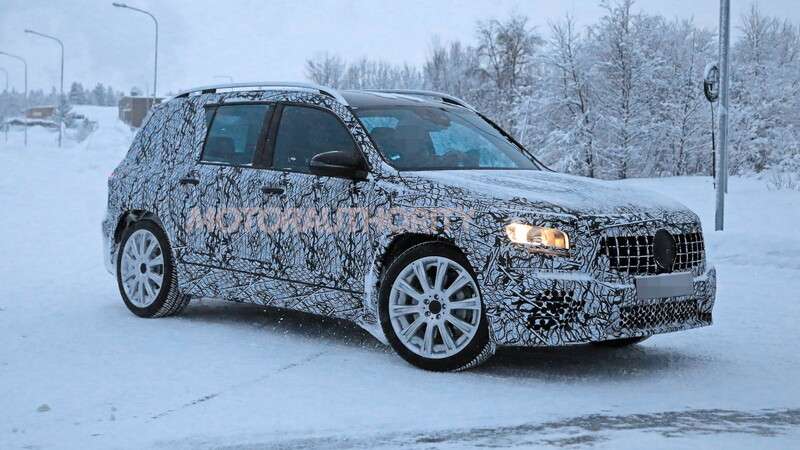 A seven-speed dual-clutch transmission and all-wheel drive will also be part of the package. This combination should result in 0-60 times of around 5.0 seconds. Beyond the power boost, the GLB35 should also benefit from increased body rigidity and performance tuning of the transmission and all-wheel-drive system compared to the regular GLB on which it is based. The new GLB should make its debut this spring. 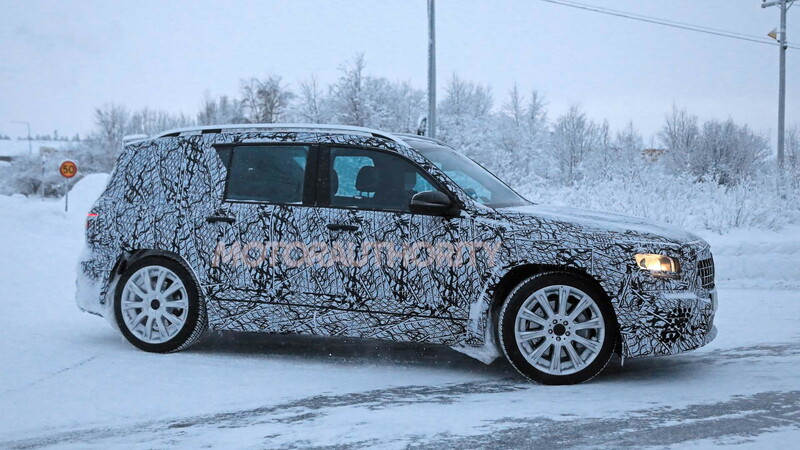 This GLB35 variant should trail it by about six months. Both are expected on sale in late 2019 as 2020 models. As for the next 45 series cars, we hear they will come with eight-speed dual-clutch transmissions and over 400 hp (the outgoing 45 series cars come with 375 hp). There are also rumors that there will be both standard and extra spicy S variants, so AMG fans already spoiled for choice will have even more options to choose from.